But now Sirens are dying, illegal wine made from the tears of human children is for sale – and in the hands of those Weyrd who hold with the old ways – and someone has released an unknown and terrifyingly destructive force on the streets of Brisbane.And Verity must investigate – or risk ancient forces carving our world apart. The relationships Verity has with the other characters, such as her ex-boyfriend and boss, the sisters in the cafe, her neighbours, and potential love interests, as well as the other inhabitants of both worlds, provides a deeper insight into her character as well as theirs. While certainly a badass, Verity is also a kind person, which makes you love her just a little bit more. She is a great main character who navigates both worlds with a quirky kind of charm. I was drawn into the world Angela Slatter created and read this book realitively quickly. 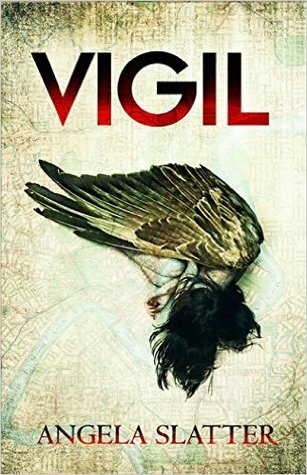 Vigil is a page turner, and a fun one at that. I look forward to reading the next of Verity’s adventures.